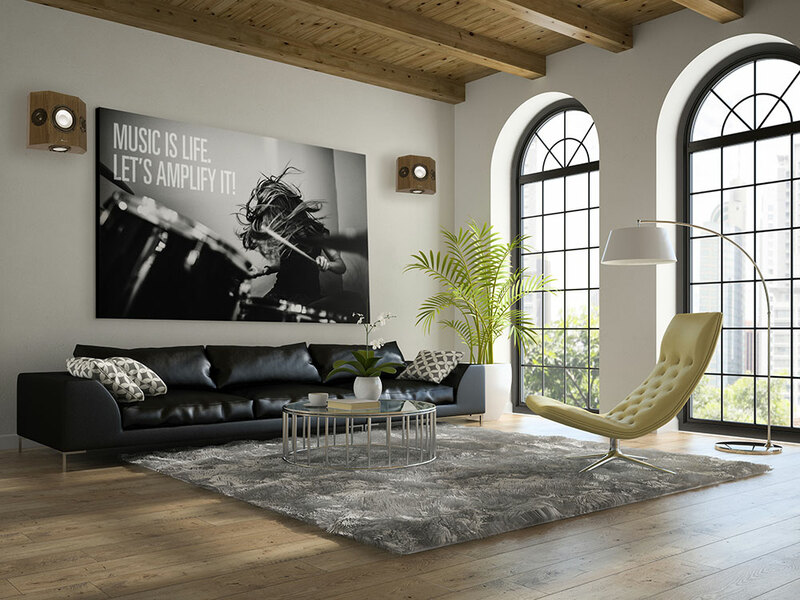 Reference-quality surround sound that transforms your living room into a theater. The QS series features twin titanium tweeters and dual aluminum woofers top and bottom. But the QS10s take it a step further, moving midrange frequencies to the 5.25” woofers, and adding a high-powered 6.5” woofer to carry the lowest notes. The two 5.25” midranges are now in their own sealed enclosures. 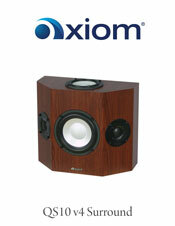 The three-way enclosure gives you even wider dispersion than with the smaller surround speakers. All you'll feel is complete immersion in the movie or music soundtrack. Unlike traditional direct-radiating surround speakers that have just two drivers, the Axiom Quadpolar speakers effectively mimic the special sound effects of large Dolby movie theaters for all seats in the room. "The QS10 is perfect for people who have an all-out state-of-the-art home theater system and are demanding a surround channel that has the ability to produce real bass output." Can I put these in a bookshelf or on a table? Our Quadpolar speakers have a driver on the bottom. There are several mounting options for these easy-to place speakers. You can use the free included T-Bracket to flush-mount the QS10 on a wall. Alternatively, Axiom's Full Metal Bracket will let you tilt or swivel the QS10, for placement on angled wall or bulkhead. We also offer a Full Metal Ceiling Bracket so that you can hang the QS10s in the room. 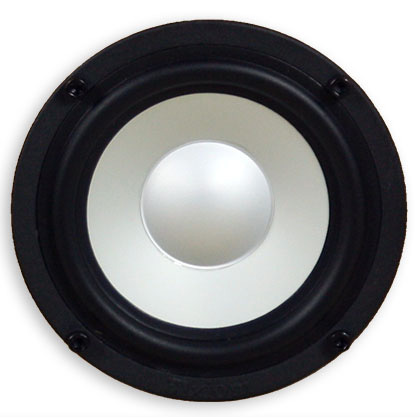 We also recommend the specially designed FMS QS that allows the bottom woofer to fire freely. But no, the speaker cannot sit on a bookshelf - it has to be elevated. Average to large living rooms and home theaters. Home theater receiver with more than 100 watts per channel or separate power amp. More then pleased with my QS10`s, I noticed right away more bass coming from my rear, greater depth, clarity is a given, more expansive then I could have imagined. If you want the Ultimate Experience in surround sound speakers, the QS10 are the best in detailled sound,power and very beautiful,,since i have those speakers on my wall,i never go to a local theater because the sound is so bad even with their latest technology...So if you want the perfect sound,purchase the QS10,they are the best and made by the best. QS10HP's adds more bass & depth to my current system.